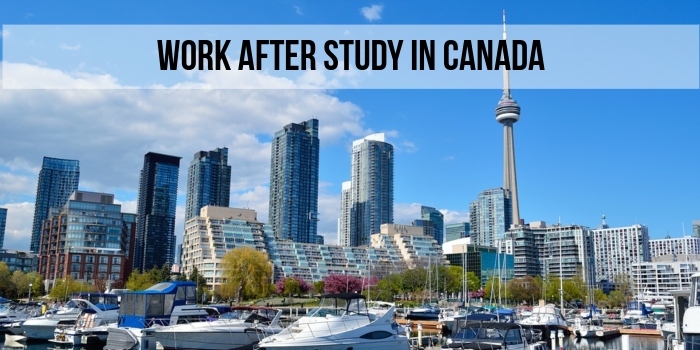 Work after study in Canada: An important aspect of deciding a study abroad destination is the work opportunities available after the course is completed. Higher education coupled with the living expenses is quite expensive and job opportunities after the course becomes an important deciding factor in choosing the country to study abroad. The availability of jobs after the completion of the course is also an important factor in choosing particular specializations by the candidate. The country’s policy towards offering work opportunities to its international students is often one of the most important reasons for a student to chose it to pursue a higher education. Conducive work policies benefit the student as it is not a financially viable to return to the home country after earning an expensive educational qualification. Opportunities of work after study in Canada is one of the important reasons to choose for higher studies. Canadian work policies for international students after they complete their courses are friendly as they offer the students opportunities once they complete their courses. This article discusses the work opportunities available to international students interested to pursue higher education in Canadian universities. Canada is one of the most popular study abroad destination possessing some of the top universities in the world. 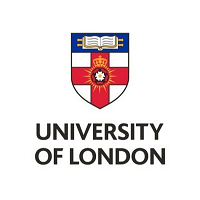 Along with this, the top universities in Canada is also among the top destinations for Natural Sciences, Arts and Humanities, Social Sciences and Management and Life Sciences and Medicine. Canada has earned a lot of goodwill amongst international students for its student-friendly post-study work visa regulations. With the ease of access to various opportunities for work after study in Canada, it's no wonder why the country is an increasingly popular destination for international students. The Post Graduate Work Permit Program (PGWPP) allows international students who have completed an educational degree from a participating Canadian post-secondary institution to be able to work after study in Canada. International students who gain skilled Canadian work experience may also qualify to apply for Permanent Residence (PR) through Canadian experience class. The PGWPP is beneficial to candidates who want more time to look for suitable employment and is also the first step to take for candidates who want to ultimately acquire a Canadian citizenship. This is because, if a candidate is sufficiently skilled and has the requisite work experience, he or she can become a citizen of Canada under the Express Entry scheme. The PGWPP allows the candidate to work for a period equal to the duration of the program of study the candidate has pursued in Canada. The maximum duration of work permit under the PGWPP is three years. This means that the work permit is not offered for a period longer than the length program of study completed by a candidate. The minimum duration of work after study in Canada offered under the PGWPP is eight months. Candidates who are pursuing courses in Canada which are less than 8 months in duration are not eligible. Also, whether a candidate is pursuing a three-year course or a four-year course, the work permit offered under the PGWPP will be three years only. The PGWP is not offered to candidates who have studied in Canada for more than eight months but have done so intermittently. Candidates who have taken semester offs during their course are also not eligible work after study in Canada. Additionally, candidates who already possess a work permit associated with any other program of study are also ineligible. Applications for the PGWPP can be made both online and offline. Applications are to be made with a non refundable application fee of CA$ 255 for the PGWPP. The mode of application also determines the processing time of the permit to work after study in Canada. The online application processing time is approximately 56 days while the offline or paper-based applications take as many as 104 days to be processed. Off-campus work permit: Candidates are not required to surrender the off-campus permit in order to apply for the Post Graduate Work Permit Program and can take up full-time or part-time employment provided that the candidate holds a valid Canadian student visa. Without an off-campus work permit: If candidates plan to explore opportunities to work after study in Canada and aspire to work off-campus but don’t have a work permit, the candidate is required to apply for the same before the expiration of his or her student visa. Once the candidate obtains the PGWP, he or she may take up any kind of employment in Canada. To obtain a three-year PGWP, the candidate is required to pursue a minimum of two-year course. For course duration less than two years, candidates will be offered a PGWP of the duration of the course. If the candidate has completed a one-year degree or diploma from an accredited institution within two years of completing another course, s/he may be eligible for three-year work permit. In case a candidate qualifies all other criteria except full-time study in the final session of the course, s/he may be eligible for the PGWP.